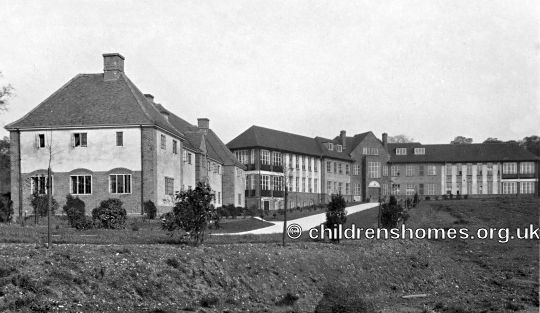 The John Capel Hanbury Hospital, named after its principal benefactor, was opened in 1923 at Barnardo's Boys' Garden City, Woodford Bridge. It replaced the London facilities of the Her Majesty's Hospital at Stepney Causeway. The new building adopted the then popular 'half-butterfly' layout with an administration block at the centre and ward blocks to each side. 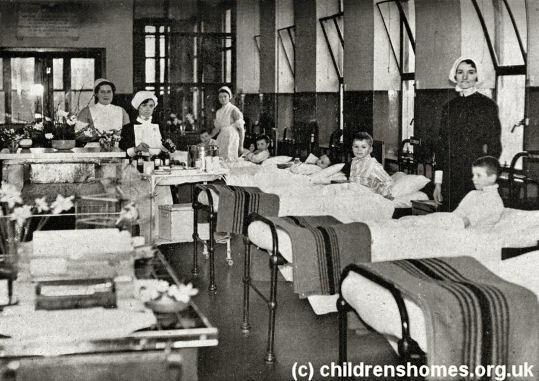 In 1947, the hospital merged its activities with those of the Australasian Hospital at Barnardo's Village Home. It was succeeded in 1952 by the the Hanbury Hospital Home which specialised in the care of the physically disabled.